I've been involved with computers since 1987 on a Commodore 64, and then 1990 when I taught students Lotus 123, DOS, and others. Some time ago I wanted to sell a system with both wired and wireless capability but at minimum expense. Having visited my trusted online auction I was pleasantly surprised to find a card that met my requirements with the bonus that it supported N-draft wireless protocol. The problems arose when I tried to install this device on an XP 64-bit system. The supplied drivers were 32-bit only. Not deterred by this, I went looking for the company's website but could only find resellers (such as this one). In addition, after looking through the forums, it seemed I was not alone. It took me some time but using "Unknown Devices" I was able to ascertain that the recognised chipset was based on an Atheros AR5212 (also shows up on Atheros website under the AR50002 or AR5000x range). 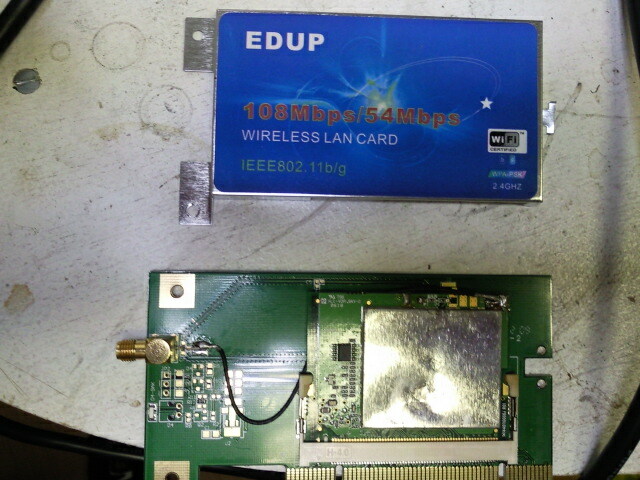 However Atheros do not provide product drivers for their wireless, at least none that I could find. After some searching I found suitable drivers from an unofficial Czech website. The actual product was cheap and "looked" new in OEM packaging I.E. no box. The product installed with the proper drivers for 64-bit no problem. The 32-bit Atheros client software did not function in the 64-bit environment but Windows wireless manager did the trick. The item is Draft-N compatible and connects at 108Mbs and does not falter under load. It is relatively cheap for it's ability, and up to Windows Vista 64-bit drivers and thus unofficially Windows 7 compatible. Under the hood it is not a true PCI device. It is in fact an adaptor for miniPCI cards. 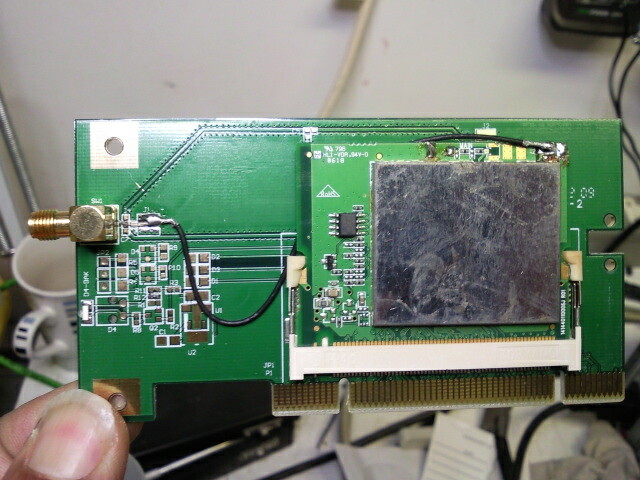 In this case, the product uses the Atheros AR5212 N mini PCI laptop card. Please see the attached images Additionally the soldering workmanship was sloppy and the actually miniPCI card showed evidence that it was not only second hand, but also badly handled. It is remarkable that this Frankensteinian ensemble works at all.